The commercial litigation and real estate attorneys at KALIS, KLEIMAN & WOLFE assist building owners (landlords), tenants and contractors in negotiating and resolving build-out disputes. Build-outs involve all types of property including retail, commercial, office buildings, medical facilities, restaurants, shopping centers and malls, warehouses and more. Often retail and office space merely consists of exterior walls and doors which may be nothing but a shell of the perimeter of space. The space to be build-out. 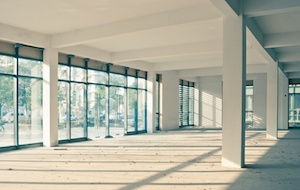 In its simplest terms, a build-out is the building of, or the update of, renovation of, or remodeling of the space to meet the specific needs and use of the tenant. What type of improvements will be made – interior, exterior, structural alterations, new construction, repairs work, etc? Who will pay for these improvements – building owner / landlord or the tenant? Are there allowances, credits, is the project fixed rate (standards packages) or will the space be turn-key? Who will be responsible for getting the work done including approvals, permits and third-party vendors – building owner / landlord or the tenant? Who will assume the role of Construction Manager a General Contractor – building owner / landlord or the tenant? What constitutes a landlord delay or a tenant delay? When is the payment of rent to commence? Who owns the improvements – what will the tenant be permitted (or required) to remove at the end of the lease? As a tenant, if your lease agreement does not have a thorough component on tenant improvement allowances / build-outs or how they will be handled, you should have the benefit of legal counsel before implementing any changes to avoid potential problems or litigation. In addition, building owners / landlords need to protect themselves from possible construction liens by contractors hired to perform the work by the tenants. Fortunately Florida Law provides protection for this. The attorneys at KALIS, KLEIMAN & WOLFE recommended that you hire an experienced real estate attorney to assist you in drafting and reviewing any lease agreement. If you are a landlord or a tenant looking to resolve a build-out dispute, add a build-out agreement to your lease agreement or simply are looking to understand your legal rights, contact the experienced Landlord and Tenant Attorneys at KALIS, KLEIMAN & WOLFE, P.A., the South Florida-based law firm today at (954) 791-0477.